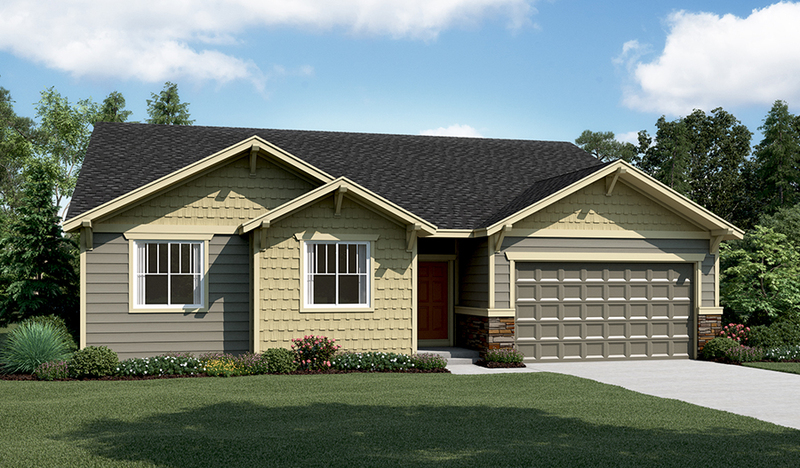 This ranch-style new home greets guests with a charming covered entry and convenient 3-car garage. Inside, you’ll find a quiet study and an expansive great room with a corner fireplace. You’ll also appreciate an open dining room and a gourmet kitchen featuring a center island, walk-in pantry and stainless-steel appliances, including a double oven. An elegant master suite boasts an immense walk-in closet and deluxe bath with soaking tub, and is separated from two additional bedrooms for privacy. Other highlights include a central laundry, mudroom and extended covered patio.